An Air Force spokeswoman said Sunday night that Devin P. Kelley received a bad-conduct discharge from the Air Force for allegedly assaulting his spouse and child, and was sentenced to 12 months’ confinement after a 2012 court-martial. Kelley served in Logistics Readiness at Holloman Air Force Base in New Mexico from 2010 until his discharge, spokeswoman Ann Stefanek said. 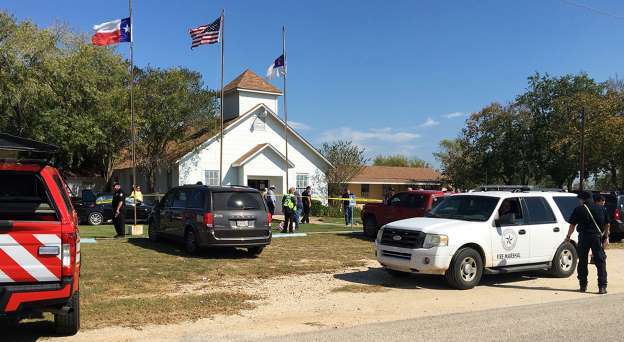 The gunman crossed the street and started firing a Ruger AR rifle at the church, said Freeman Martin, a regional director of the Texas Department of Safety, then continued firing after entering the white wood-frame building, where an 11 a.m. service was scheduled. As he left, the shooter was confronted by an armed resident who “grabbed his rifle and engaged that suspect,” Martin said. A short time later, the suspect was found dead in his vehicle at the county line. 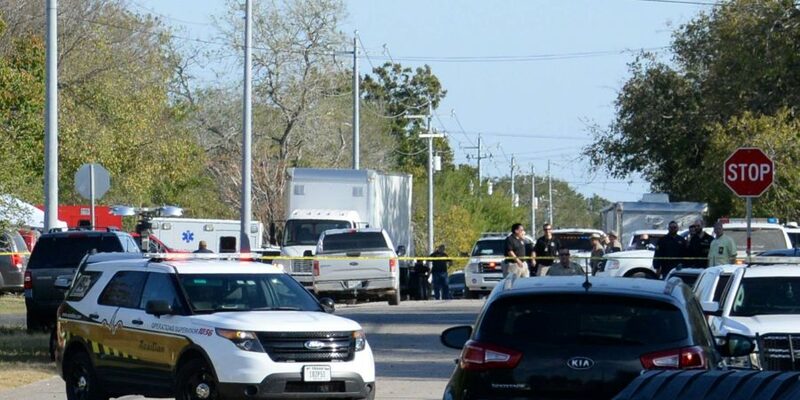 Several weapons were found inside the vehicle and Martin said it was unclear if the attacker died of a self-inflicted wound or if he was shot by the resident who confronted him. He said investigators weren’t ready to discuss a possible motive. Martin said 23 of the dead were found in the church, two were found outside and one died after being taken to a hospital. “They wouldn’t have had anywhere to go,” Green said.